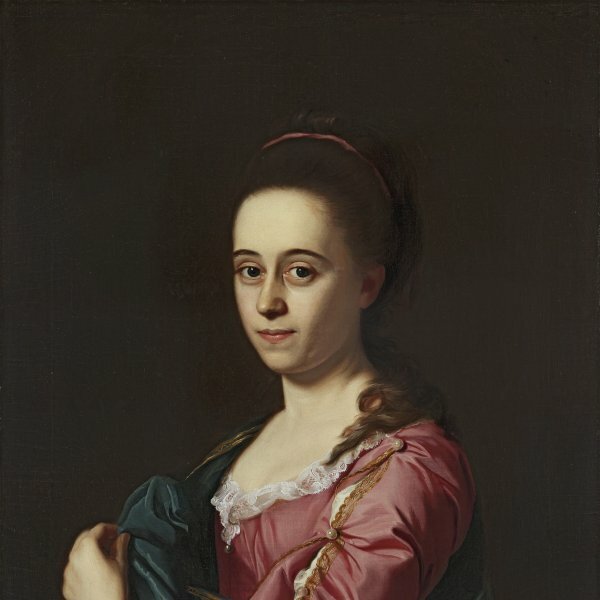 In this almost full-length portrait, the imposing figure of Miriam Kilby (1696–1765), wife of the Boston merchant Samuel Hill, dominates most of the canvas. The very sober setting is based on a few elements such as the simple red curtain in the background and the books on the table by which she poses. 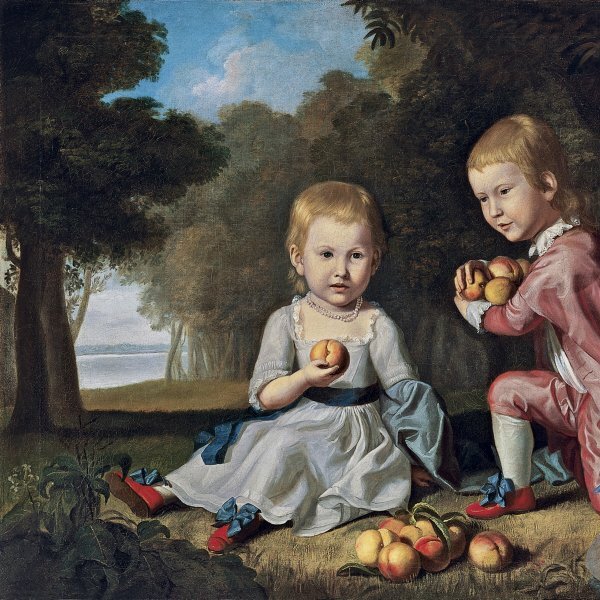 The brilliant white of her muslin headdress, the scarf on her shoulders and the frills on her sleeves is set off by the predominantly reddish and brownish tones of the composition. 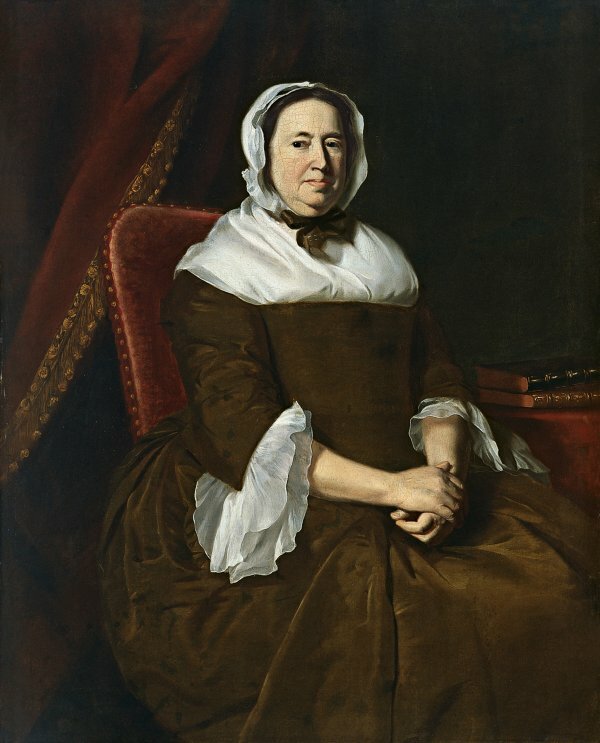 Unlike other portraits by Copley in which the sitter usually holds some object, Mrs Hill’s hands are clasped together and rest placidly on her lap, affording her pose greater dignity and indicating her austere, calm nature.